Thank you for signing up for End-of-Life University and checking out this one-time-only Special Deal! Today you can purchase the 2014 Access Pass for a 55% discount off the usual price of $60! Caitlin Doughty (of “Ask a Mortician”) … and many more! 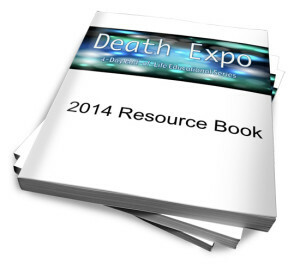 The Death Expo 2014 Resource Book, which is loaded with helpful tools and information (150+ pages)! You can’t go wrong with this special deal! so don’t let it slip away! Includes access to all EOLU interviews from 2014 and 2013 plus the Death Expo 2014 Resource Book.